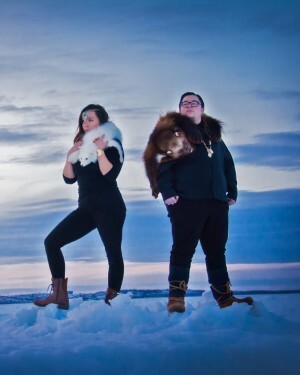 the sākihiwē festival is teaming up with the north point douglas women's centre (npdwc) to present shanley spence, ila barker, hellnback, and studio 393 at the austin street festival on friday, august 3, 2018. the concert is set for 12:00 p.m. to 5:00 p.m. on austin street, between selkirk avenue and euclid avenue, and the npdwc also has a dunk tank, bbq, face painting, and street hockey all set for the day. we want to hear from some new voices! please email agreyeyes@gmail.com to sign up for the austin street festival's open mic. 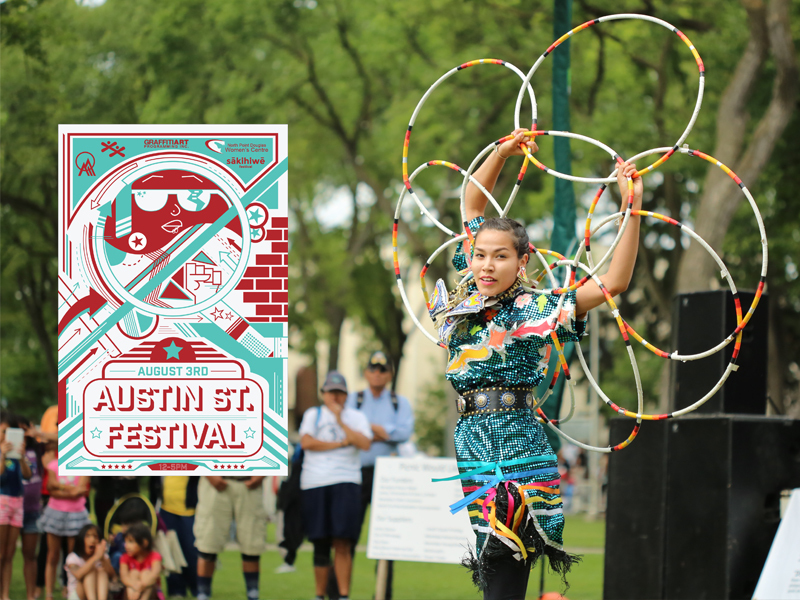 we have three spots available for point douglas residents or indigenous artists in winnipeg who want to share two songs on the austin street festival stage. singer/songwriters on acoustic guitar (with a built in pick up on their guitar), rappers performing to tracks, and spoken word poets are encouraged to sign up. unfortunately we aren't able to accommodate trios or larger bands with multiple instruments at this time. "the north point douglas women's centre is an important hub for the community in point douglas," explains sākihiwē festival director alan greyeyes. "we're working with them to take music to indigenous families in that neighbourhood so that local kids see that they can communicate with the world through the arts." the open mic will kick off the concert, shortly after opening remarks at 12:00 p.m. studio 393 will present a number of the participants from their music program at 1:00 p.m. followed by a 50-minute set by local hip hop legend hellnback. 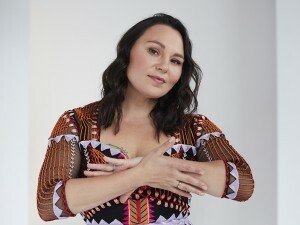 hoop dancer shanley spence will take the stage at 3:00 p.m. and the talented ila barker will close the show with a 50-minute performance starting at 4:00 p.m.
amm received the name "sākihiwē" from sundance chief david blacksmith during a ceremony on february 21, 2018. it means "to love" in cree and the organization has been instructed to use standard roman orthography (sro) to write the name. sro has no capital letters and amm has also adopted this format for its website and social media posts. amm would like to acknowledge the government of canada through the department of canadian heritage, the canada council for the arts, the province of manitoba, the manitoba arts council, and the winnipeg arts council for their financial support of the 2018 edition of the sākihiwē festival. amm would like to acknowledge the aboriginal peoples television network, the foundation assisting canadian talent on recordings (factor) and canada's private radio broadcasters, mb live, ogichidaa arts, nci fm, section 35, red rising magazine, amiskusees: semaganis worme family foundation, north end revitalization incorporated, the socan foundation, and the city of winnipeg for their support of the sākihiwē festival. the sākihiwē festival is made possible by partnerships with the spence neighbourhood association, central neighbourhoods, the ma mawi wi chi itata centre, jazz winnipeg, and the north point douglas women's centre. the 2019 edition of the sākihiwē festival is set for june 14-16 and amm is currently accepting artist submissions (submit here).